October, 2010 - flydubai, Dubai's first low cost airline, notched up its 24th destination yesterday when it landed in Samara, the second Russian city in one week for the airline which also landed in Yekaterinburg on Saturday, October 16. 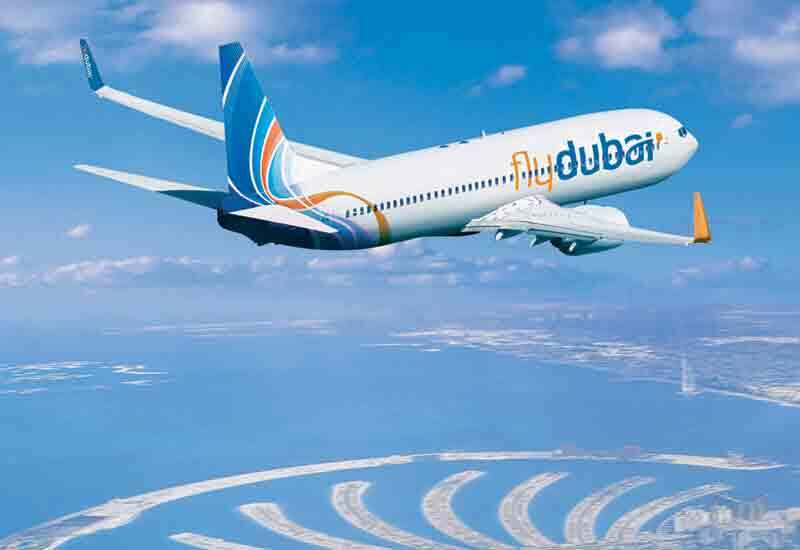 The two routes mark the start of flights to another important market for flydubai and for the UAE. Trade and tourism between the two countries is steadily growing and the introduction of flydubai's simple, uncomplicated service on the two Russian routes is sure to provide a welcome boost to both sectors. flydubai CEO, Ghaith Al Ghaith, said: "We are delighted to begin flights to this fascinating country. Yekaterinburg and Samara may not be cities which are particularly well known to many people in this region, but once they begin to discover the opportunities there for business and leisure, they will understand the potential these routes hold. "flydubai is all about offering customers choice and a range of exciting new destinations to discover. We aim to ensure more people travel to more destinations more often and I am confident that the addition of Yekaterinburg and Samara to our network will help us to deliver on that promise. At a press conference in Moscow to celebrate the start of flyduabi's flights to Russia, the UAE Ambassador in Russia, His Excellency Omar Saif Ghobash, said: "I am delighted that flydubai, a national carrier of the UAE, has begun flights to these important cities in Russia. "Our two countries have so much to offer one another, and the opening of further pathways between the nations will help to strengthen our already strong ties. The UAE provides the ideal short break location for Russian holidaymakers looking to escape the harsh cold winters. And winter shopping extravaganzas ensure Russian visitors can combine relaxing on warm sunny beaches with bargain hunting in the UAE's wonderful shopping malls and souks. "For those looking for new business opportunities our nation provides many possibilities, as well as acting as a gateway to a region rich with potential. With the start of flydubai's year round, regular, quality, affordable flights between Yekaterinburg, Samara and Dubai there has never been a better time for people in both countries to reach out and grasp these new opportunities." Yekaterinburg is the administrative centre of the Sverdlovsk Oblast region, situated to the east of the Ural Mountains. It is one of Russia's largest cities, and has a long history that has witnessed historic events that shaped Russia. Samara, an important regional centre, is found where the Volga and Samara rivers meet. It is situated in the scenic Samara Oblast, which is home to the Samarskaya Luka national park. Both flights operate twice a week on Wednesdays and Saturdays. Flight FZ901 to Yekaterinburg departs Dubai International Airport Terminal 2 at 0900hrs and arrives in Russia at 1615hrs local time. Return flight FZ902 departs Yekaterinburg at 1715hrs and arrive in Dubai at 2030hrs local time. Prices from Dubai start at AED 1150, with flights from Yekaterinburg from USD 400. Service FZ903 to Samara leaves Dubai 0900hrs and arrives in Samara at 1450hrs local time. The return flight FZ904 leaves Kurumoch International Airport at 1550hrs and arrives in Dubai at 1935hrs local time. Prices for flights from Dubai begin from AED 1150 and flights from Samara start at USD 400. Flights can be purchased on flydubai's website (flydubai.com), through the call centre (+9714 3010800) and with travel partners. flydubai has a simple model where customers only pay for services they want to receive. The price of the flight includes all taxes, once piece of hand luggage weighing up to 10kg, and one piece of checked baggage, per passenger. flydubai operates from a modernised and enhanced Terminal 2 on the north side of Dubai International Airport.